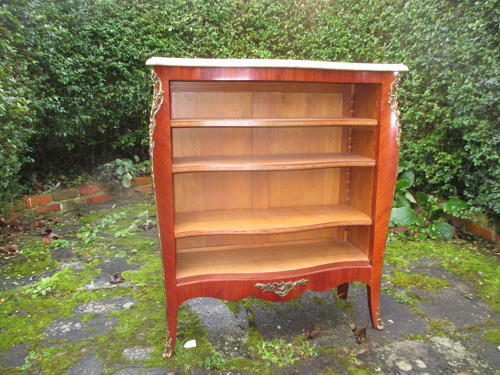 A good quality French serpentine fronted open bookcase, with marble top and inlaid shelves. All in excellent condition. Ormolu mounts to the legs add to the decorative appeal. All shelves are adjustable.